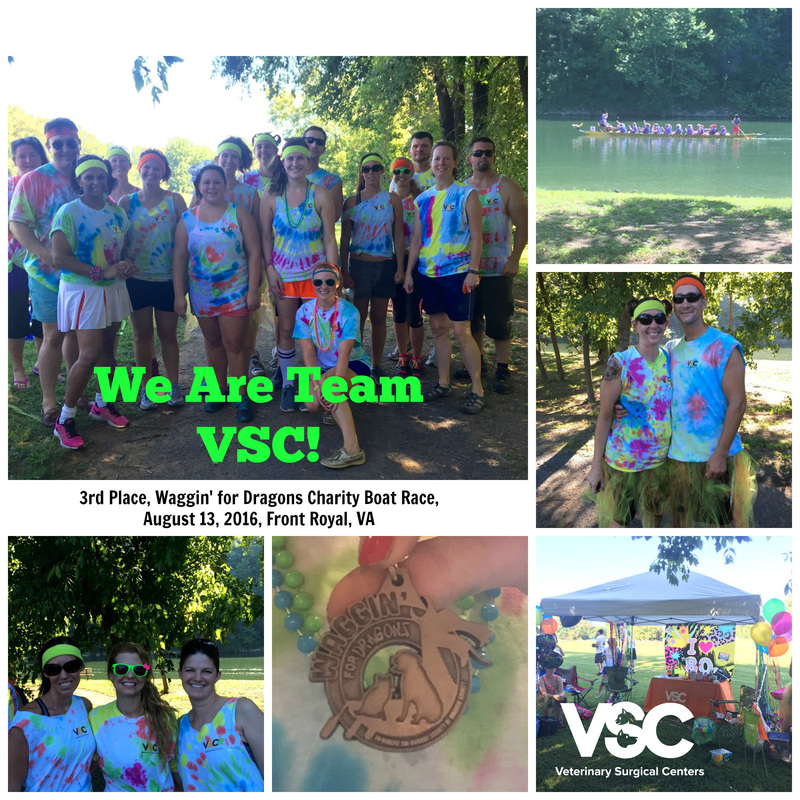 Team VSC/VSCR was proud to compete in the 2016 Waggin' for Dragons charity boat race to benefit the Humane Society of Warren County, held Saturday, August 13, 2016. We were absolutely THRILLED to come in third place, especially considering none of us had competed in such a race before... and we didn't get a chance to practice! Front Royal’s 3rd Annual Dragon Boat Race to benefit the Humane Society of Warren County was held on the North Fork of the Shenandoah River at the Front Royal Golf Course Landing. The event featured friendly competitions between 16 community and corporate teams, which each raised a minimum of $2,000 in order to compete. The event attracted hundreds of athletes and spectators to the North Fork of the Shenandoah River, just north of Front Royal, VA. The official numbers are still being tabulated, but from team entry fees alone, the shelter stands to earn $32,000 to help the animals of Warren County! This does not include the money earned from fundraising by other teams or other sponsors. Way to go, Team VSC/VSCR! Learn more about this fun-filled event.